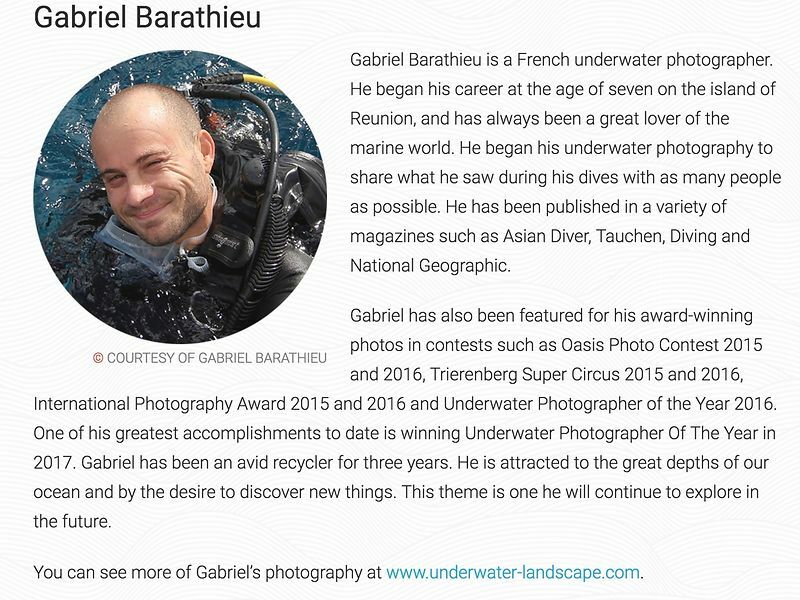 What is more normal than supporting an NGO that works for the preservation of the oceans and the marine environment when you are a submarine photographer? So that's what I'm doing modestly with Ocean conservancy. That is also why they offered to be judge for their annual photo contest, which I accepted with enthusiasm.